Created and based in Kent, James Villas has always been an active and present company in the local community. Since 2010 we have exclusively dedicated our fundraising efforts to a chosen annual charity, in doing this we can put all our efforts and hard work into truly making a difference to one cause. 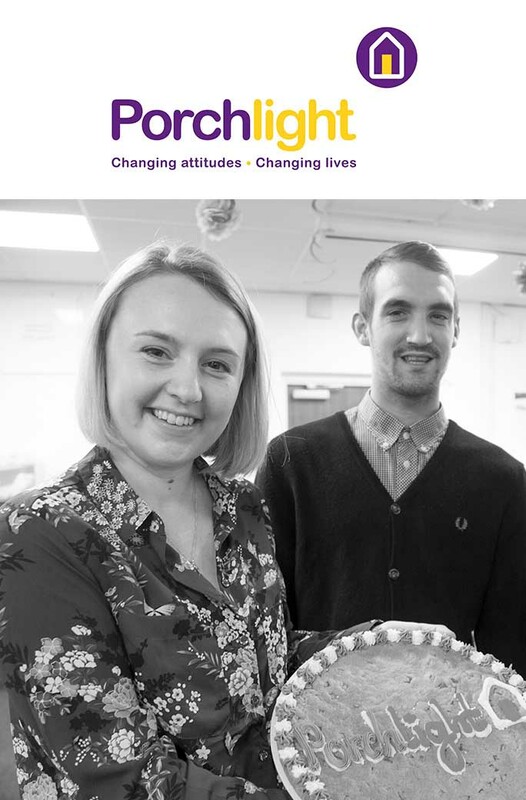 Throughout the year our devoted team of charity coordinators organise fundraising days and events ranging from bike rides to bake sales where we ask our employees to get involved. With such a passionate workforce there’s always a great turnout and a huge effort made with costumes, baking and donating – not forgetting those that go the extra mile (literally!). This year we have chosen to support Porchlight, a local Kent based homelessness charity. Porchlight help people who have nowhere to go and no-one to turn to. Some are already homeless while others are struggling to cope with the pressures in their lives. Porchlight help families, children, young people and adults with support around housing, education and employment. They help bring back their self-esteem and sense of self-worth to themselves and to those around them, to encourage a positive outlook and influence on the local community and to bring a sense of belonging. Porchlight also help give guidance and support with many mental health issues and general wellbeing. Find out more by visiting the Porchlight website. Since January 2017 we have been fundraising for them through various events. One of our biggest days so far was World Travel Day where all departments dressed up as different countries and brought in yummy food to match. Porchlight popped in to help judge our whacky costumes as well as educate us on their amazing work. Take a look at some more of our previous events as well as some exciting ones still to come. A massive THANK YOU for your support so far! Competing against 50 boats, we took part in the local Dragon Boat Race. Our Managing Director completed the marathon in 3 hours and 50 minutes - we are so proud of him! Any excuse to dress up! American themed fancy dress at work along with a bake sale and quiz. Staff at James wear purple to mark World Homelessness Day for Porchlight. Kent Air Ambulance - The Kent, Surrey & Sussex Air Ambulance Trust provides a Helicopter Emergency Medical Service (HEMS) to respond to patients who have suffered trauma or serious medical emergencies. They operate 24 hours a day to ensure they can be there for the most critically ill and injured people in the region. As our chosen charity from 2010 to 2014 we raised over £7000. Macmillan Cancer Support are a national charity consisting of people affected by cancer, supporters, professionals, volunteers, and campaigners. Right from the moment you're diagnosed they help you through your treatment and beyond and are a source of support to give you the energy and inspiration to help you feel more like yourself. As our chosen charity from 2014 to 2016 we raised £4250.